At one time or another, everyone dreams of owning a one hundred year old farmhouse with shiplap walls and a big wrap around porch. The nostalgia and comfort invoked by farmhouse decor are almost universally appealing. Unsurprisingly, it has increased in popularity in recent years, and the neutral colors and inclusion of rustic antiques make it an easy to live with style. One of the keys to creating the perfect farmhouse livingroom is finding the right furniture. Casual and comfortable couches, rough-hewn barn-wood coffee tables, and natural decor elements typify the look. 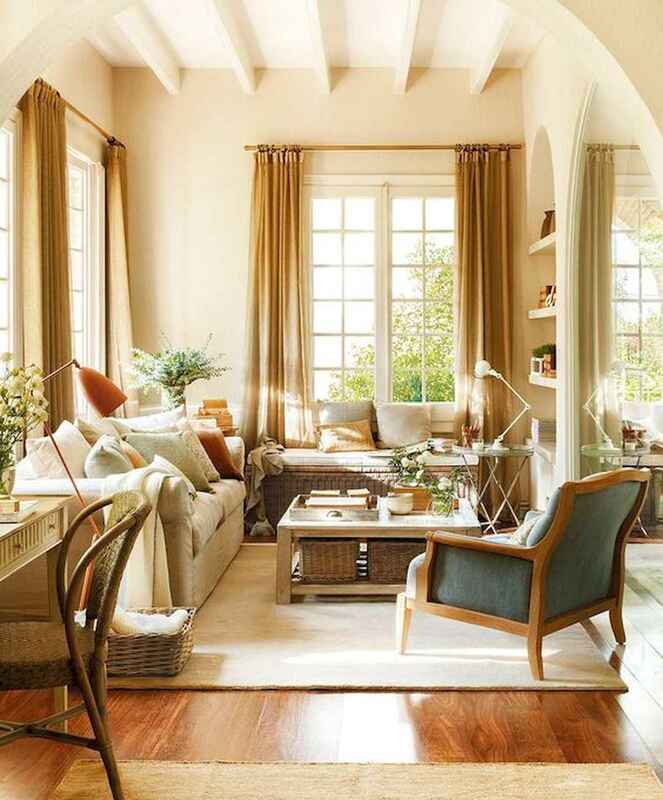 Since purchasing a whole new furniture set may be outside of your budget, making use of organically colored cotton or linen slipcovers, a few French country-inspired pillows, and thrift store finds can go a long way towards altering your livingroom’s look. But even if you currently live in an urban apartment, you can still create a cozy country farmhouse feel in your own home by including rustic antiques and a simple color palette. If you would like to add some country charm to your home, the 30 Stunning Farmhouse Living Room Decor Ideas examples below feature easy to duplicate design ideas for your own living room.